Industry Super Australia (ISA) says the Banking Royal Commission has shone a welcome light on serious conflicts within the financial services system and validated the important role industry and other profit-to-member super funds play in safeguarding Australians’ retirement savings. The structure of industry and other profit-to-member super funds has avoided such conflicts resulting in scarce evidence of misconduct or conduct falling below community expectations. However in assessing the recommendations they appear to stop short of systemic reforms suggested by some to address conflicts of interest at the heart of most misconduct. Instead, the report has opted for a series of changes to existing laws and stronger enforcement. Taken as a whole the proposed changes should in most cases lead to better outcomes for consumers but only time will tell whether ongoing conflicts of interest and remuneration settings will result in problems re-emerging. Turning to the specific recommendations on super, ISA agrees they should improve outcomes by prohibiting unsolicited sales of super, stronger penalties for trustees, annual renewal of advice fees and ceasing grandfathered commissions to stop fee for no service gouging. Industry super funds also support steps to reduce multiple accounts and development of mechanisms such as automatic rollover to prevent more than one default account being created for members. Surprisingly the final report does not appear to recommend any specific prosecution action arising from the evidence and case studies it explored. It would appear it is in the hands of ASIC to determine if misconduct is pursued through the courts. ISA deputy chief executive, Matt Linden, said that by shining a light on the system’s deeply entrenched problems, the findings could prove the vital catalyst for long overdue reform. 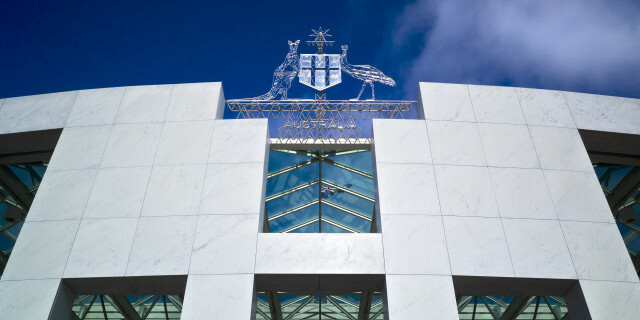 “That not-for-profit industry superannuation funds have emerged from the process relatively unscathed, is vindication of our governance structure and member-first ethos,” said Linden. “As a whole, the system must be more transparent and more accountable – it shouldn’t take a Royal Commission for workers to see whether their retirement savings are in safe hands or not”. “The onus is now on the Parliament and industry to ensure superannuation works in the best interest of fund members – not that of shareholders or bank executives,” said Linden. Matt Linden is available for interview. Media contact Phil Davey 0414 867 188. Industry Super Australia provides policy, research and advocacy on behalf of 16 not-for-profit industry superannuation funds with around six million members.